There aren't enough food, service, value or atmosphere ratings for Dairy Queen (Treat), Canada yet. Be one of the first to write a review! I had ice cream and milkshake in the past and it was quite tasty. I have not been to Dairy Queen in many years as I hardly go to Square One. A small outlet but delivers the traditional soft ice-cream I have loved since childhood. 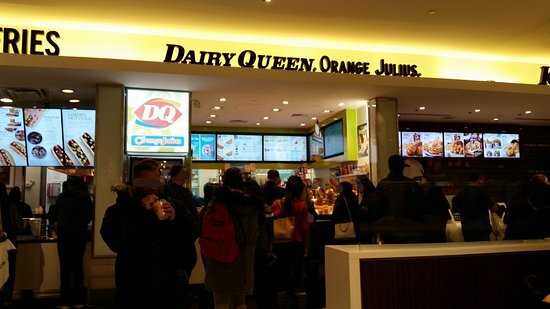 Often imitated by others offering soft ice-cream, but there is only one Dairy Queen! Service is great, I go at least once a week of my hot fudge sunday, I like the medium size I am on my way there in about 5 minutes. Queen St. Brampton.